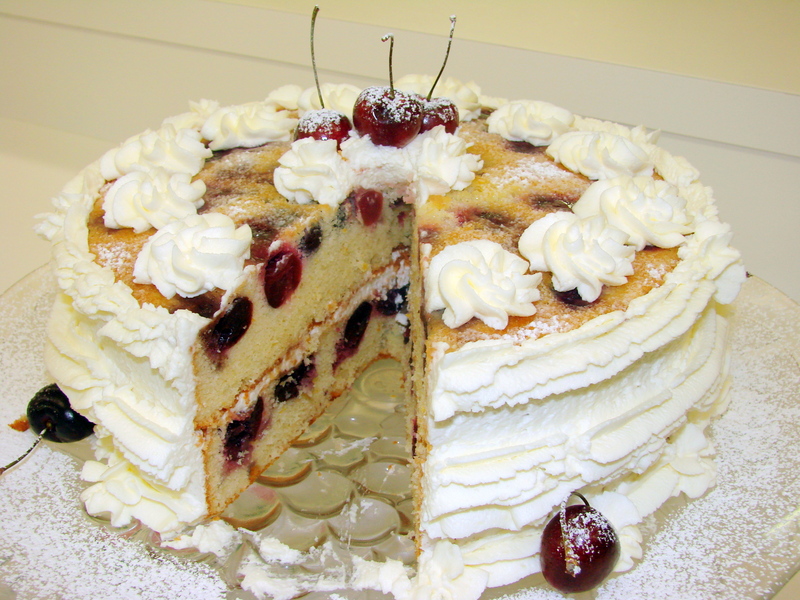 I always enjoy hearing your childhood stories, Maria….. And, the cake looks delicious! Thank you for your nice comment….I also always enjoy hearing from you….a big hug to you! Maria, it was such a pleasure reading about, not only your beautiful cake, but the history behind it and history of your family. I find it very interesting. Thank you for sharing your story. It is nice to hear from you and reading such nice words about my stories….it is fun sharing my memories and recipes with friends like you….thank you for your lovely comment…..
Looks quite lovely and delish. Also, looks very Austrian. What a wonderful surprise to have you visit my blog….it is an honor to see you here on my blog….thank you for visiting and leaving a lovely comment ….. 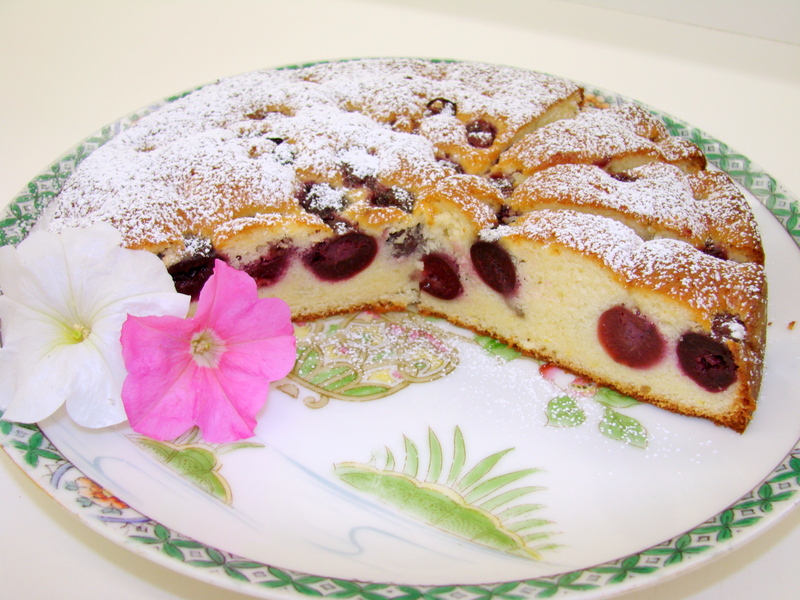 I just printed the Cherry Cake recipe. I hope mine turns out well. I’ll let you know. Thank you for sharing. I loved baking as a child, I started with the Turquise easy bake oven and make and sold the cakes to my Father and Brother, To this day at family gatherings, we laugh about it. Hi Tere….so very nice of you to have stopped by and left a lovely comment…. 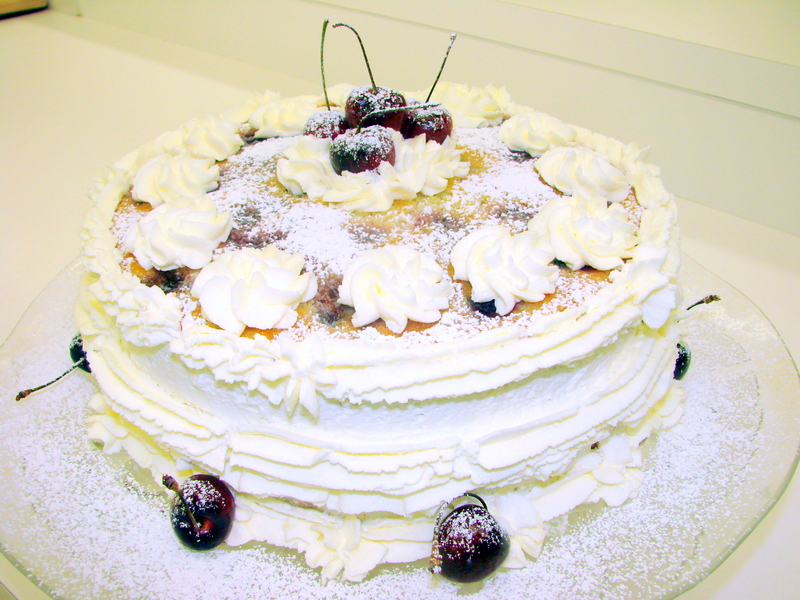 I love to hear about your childhood experiences ….you already showed talent in baking and certainly a great aptitude for business…as you are a successful business person now… love and a hugs….to you! I absolutely adore your stories and your cakes. 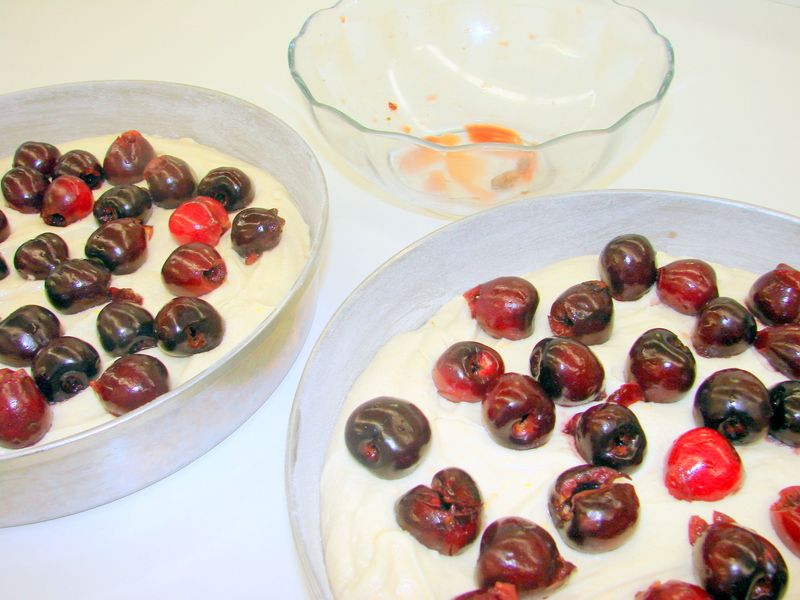 I can’t think of a better cake while cherries are in season and I must makes this soon. Thanks Maria! Devaki… thank you for your sweet comment….and thank you for stopping by…I so love hearing from you …. you are the most cheerful person in the world…. a big hug to you…. on July 7, 2012 at 8:05 pm | Reply Brooke B. This looks fabulous! Fantastic post! Hope you visit again soon…. Maria, I love seeing your pix on Facebook and reading some of your blog. It’s all a peaceful, refreshing adventure! I really enjoy your blog! Your recipes are so tasty! I do not have any of the alcohol listed, and I was wondering if I could substitute other kind or if orange juice (concentrated or regular) would work? Thank you very much! Please keep posting the lovely recipes! 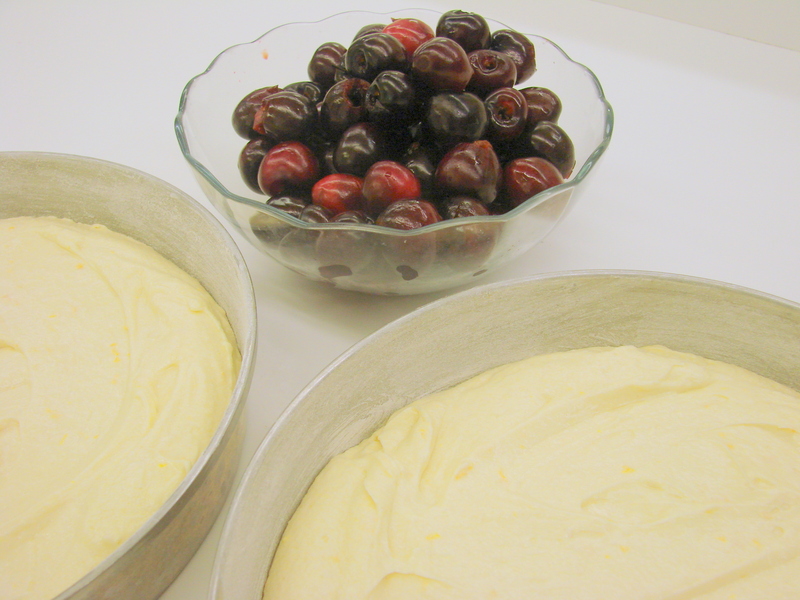 Hope this will help you make this wonderful cake very soon…. Is this also known as the Ann of Cleve’s cake? Thank you for stopping by and dropping me your note and question…I will look up …the “Ann of Cleve’s Cake….Have a nice day!! !